Wow. She does a spectacular Tommy Lee Jones. 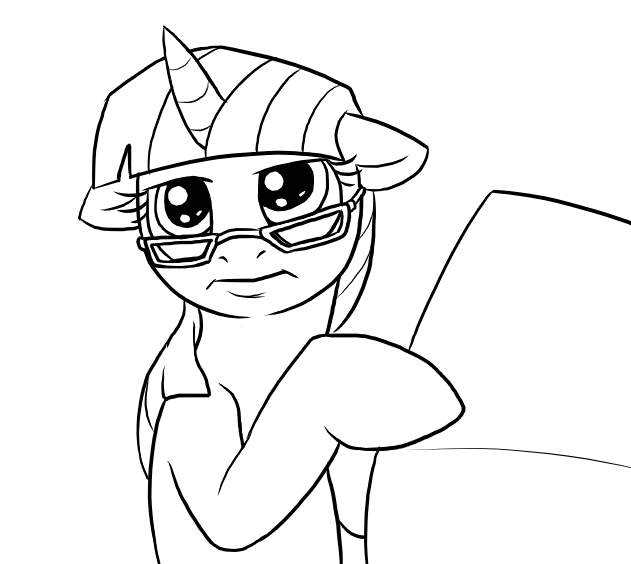 I was thinking about drawing Twilight with reading glasses today too. Get out of my head! do it anyways! twilight makes it adorable. that expression reminds me of Peter Boyle's when Madeline Kahn comes into the bedroom at the end of Young Frankenstein! !